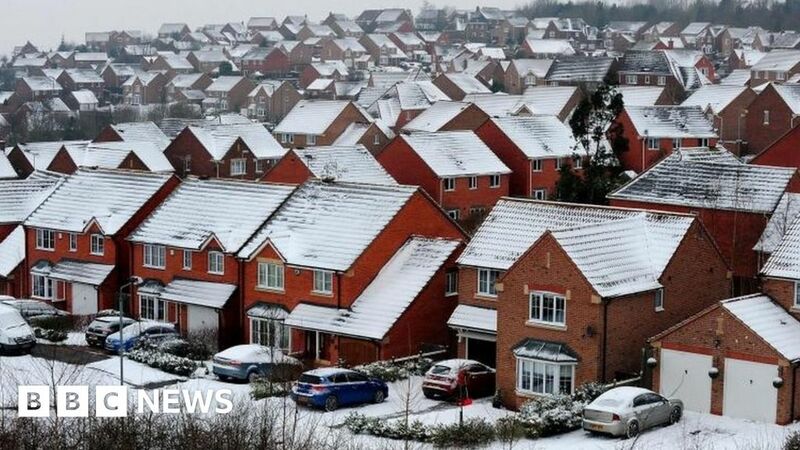 UK house prices fell by 2.9% in January compared with December, according to the country’s largest mortgage lender. The Halifax, part of Lloyds Banking Group, said it was the second time in three years that the new year had begun with a significant fall. The lender said prices were 0.8% up on a year ago, with the average home costing £223,691. When do people buy their first home? Where does rent hit young people the hardest in Britain? “This could either be viewed as a story of resilience, as prices have held up well in the face of significant economic uncertainty, or as a continuation of the slow growth we have witnessed over recent years,” said Russell Galley, Halifax managing director. Mr Galley said that relatively few properties were being put on the market, which was constraining supply, and some wage growth and low mortgage rates were encouraging some demand from potential buyers. All this had maintained house prices at roughly the same level. Jonathan Hopper, managing director of Garrington Property Finders, said: “January is often a tough month, in which sellers who have failed to shift their home in the previous year typically cut the price in order to drum up interest.